The World Health Organization reports that up to 80% of donated medical equipment in the developing world is never even turned on. Unused and broken medical equipment amounts to $250M a year in unacceptable waste and a barrier to improved health outcomes. Echo is an open-source IoT (Internet of Things) solution for medical devices. Echo’s objective is to prolong the lifespan of medical devices so that we can save more lives, make our products more cost-effective for users, and protect the environment. Other pioneering applications of IoT in developing countries include the Charity: Water pump and NexLeaf’s ColdTrace. DtM and partners will 1) develop a sensor and wireless communication module, 2) create cloud-based tools to collect data in real time, and 3) conduct a randomized control trial to assess the effectiveness in improving medical device “uptime”. With the help of DtM’s distribution partners and Firefly users at rural clinical facilities, we will measure the impact of Echo on product adoption and the total number of infants treated. 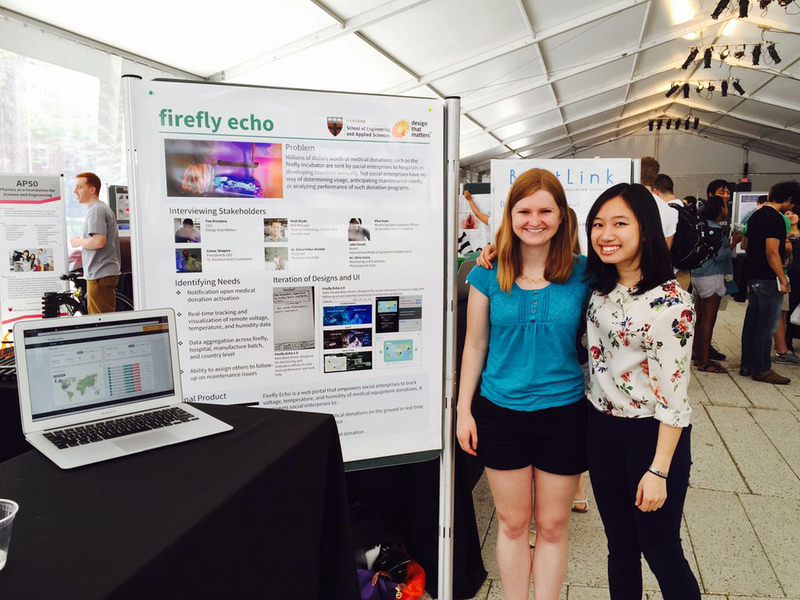 This spring, an MIT Health Science and Technologies (HST) team developed an Echo hardware concept, and the Harvard CS179 team created a website concept for Echo. Alex Resnick, Sprout & Co.